Subscribe to our newsletter and be the first to hear about our latest exclusive offers, hidden deals and flight promotions. We offer discounts on airline tickets across a wide range of airlines. 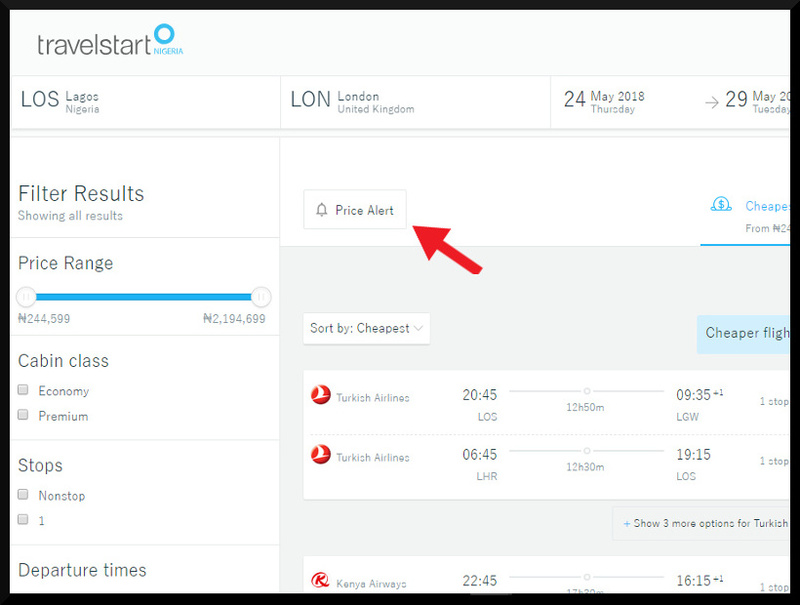 Another way to find out about cheap flights is to sign up for ‘price alerts‘. Head to our website and use the search function to select your destination and preferred dates. You’ll see the option to create a new price alert. As soon as new flight deals are available on your chosen routes, you’ll be notified by email! Another way you can save on your next flight booking is to get one of our voucher codes, either by email or by staying updated with our posts on social media. Follow us on Facebook, Twitter and Instagram. 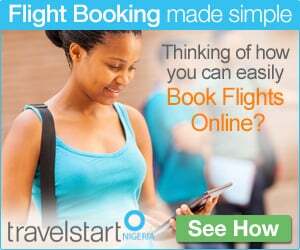 During peak season, public holidays, school holidays, the festive period, and when destinations host special events, such as the Lagos Carnival, Calabar Carnival or the FIFA World Cup 2018, everybody wants to travel. Be first in line by booking in advance. If you try to book a flight later, you’ll possibly end up paying more. If you’re looking for the best deals and discounts on airline tickets with international flights, we suggest you book 4 to 5 months in advance. The cheapest time to fly for international travel is on Wednesdays, Sundays and Fridays. These are the best days as they give you the opportunity to get discounts on airline tickets. Be ready to book your next flight with our last-minute deals, which can come anytime! 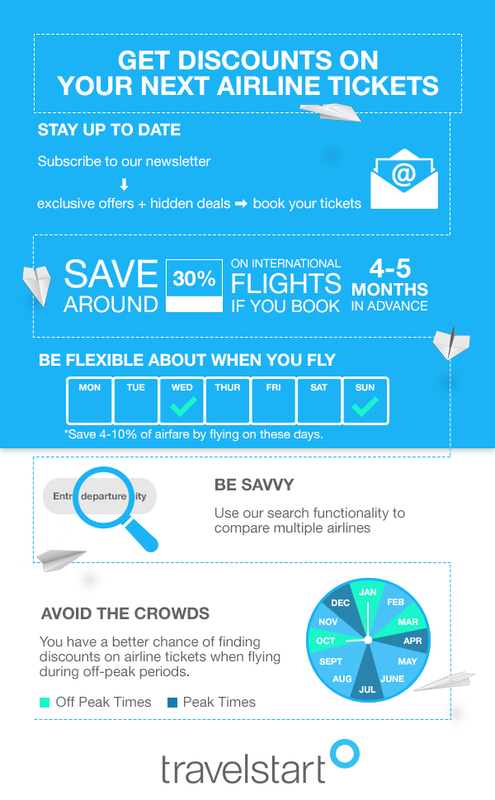 You can get an affordable flight, so make sure you stay updated on our promotions! Get ready to have an adventure to amazing destinations, such as Canada, the UK, the USA and Dubai. 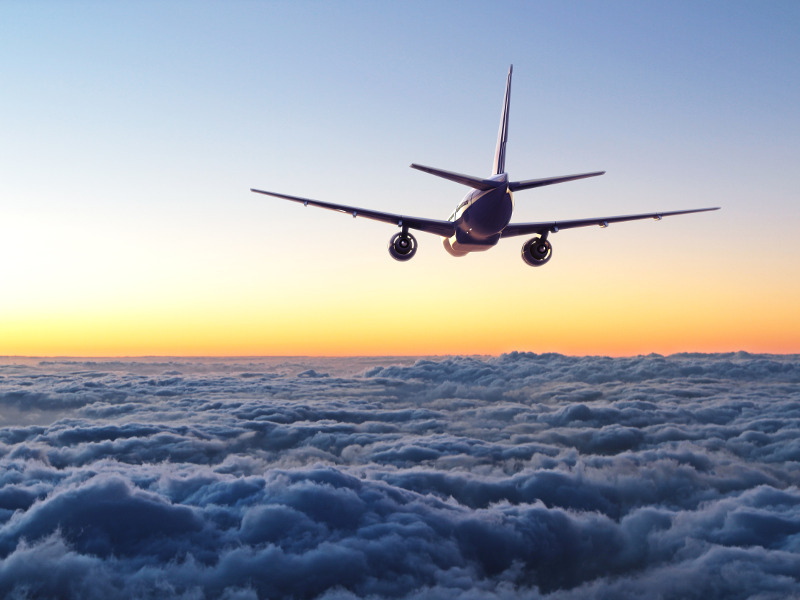 Use our search tool to get discounts on airline tickets! 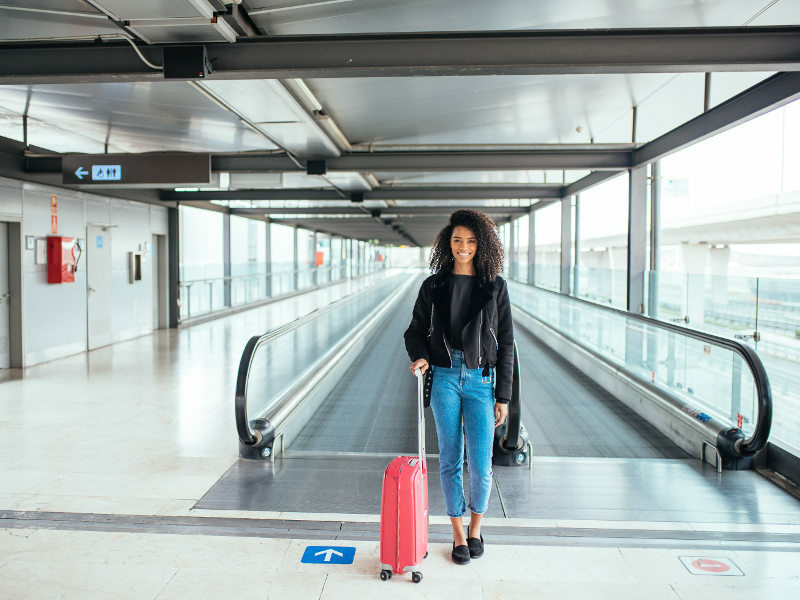 The results are taken from all the airports serving the destination you’re planning to visit, and are automatically arranged to show the cheapest flights first. Get affordable flights by flying to an alternative airport. Well-known examples are that flights to Newark Airport (New Jersey) instead of John F. Kennedy Airport (New York) can be cheaper when flying to New York, while you can save by flying to Abu Dhabi Airport instead of Dubai Airport in the UAE. You have a better chance of finding discounts on airline tickets when flying during off-peak periods, such as during January, March and October, for international travel, and during March, September and October, for domestic travel. Look out for good flight deals after school holidays and the periods after big events, such as after New Year’s Day. Not everyone flies during these times, guaranteeing you more affordable flight tickets. As an added bonus, some destinations offer great weather throughout the year, such as Cape Town, Dubai, New Zealand, London, Paris, and Los Angeles. Putting in that extra effort will get you that cheap airline ticket! A great way you can save on flight tickets is ‘MyTrips’. 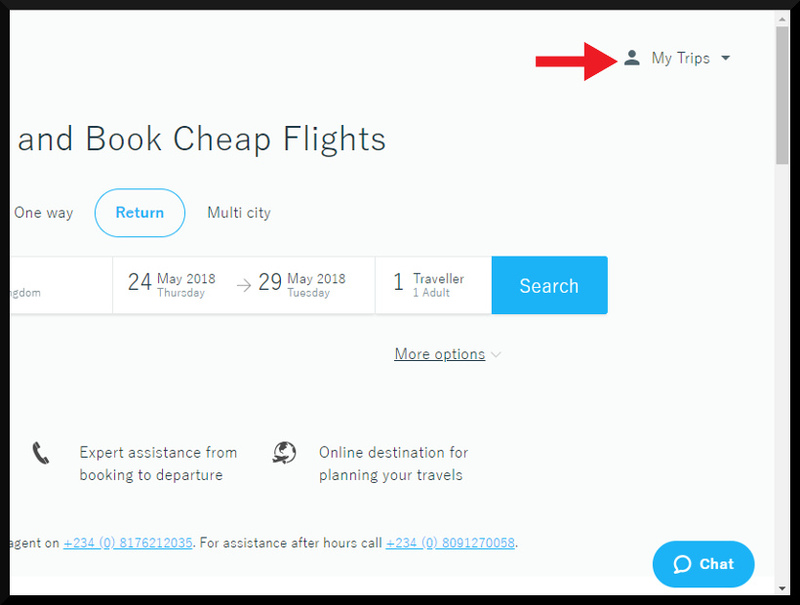 Signing up for ‘MyTrips’ lets you manage your bookings, save your traveller details, book flights faster, and gets you insider information on flight promotions. This entry was posted in Deals & promos, Travel, Up in the Air and tagged Best Deals, cheap flights, discounts. Bookmark the permalink.